Happy St. Patrick’s day from OriginalPeople! As some of you may know, March 17th is one of the most important days in Ireland – St. Patrick’s Day. 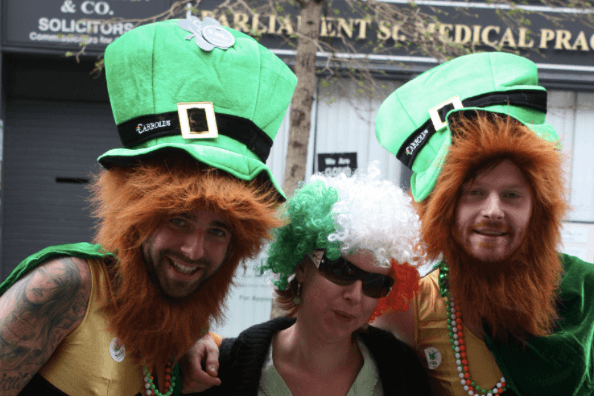 Many are coming to Ireland on this day to share the festive mood with the locals. This day is a national holiday in Ireland where the death of St. Patrick is proudly honoured and celebrated. St. Patrick was a 5th century bishop in Ireland. According to the legend, St. Patrick is well known for banishing snakes from the country which makes many Irish people love him even more. The origins of the festival were religious. All the taverns remained closed on this day to celebrate it. Many years later it developed a national trend, which is used to promote Irish culture all over the world! Many countries which have Irish ascensors celebrate this festival. Interesting to know that people have to wear green cloth on this day. Ireland is the country of green due to its rainy weather and it is easy to associate it with this color, besides even Irish flag contains green as one of its 3 base colors! To celebrate this day together with Ireland, we are launching 2 new sticker decals: 3-leaf clover and the famous giant Irish hat! Create your own customizable sticker decal and order it today to get it on time for the festival! 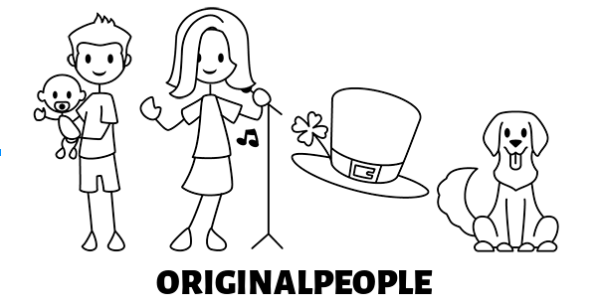 If you are Irish, have an Irish transcendence, have Irish friends or just love Irish people, its culture, this celebration and want to create a very nice memory associated with St Patrick’s day, go to www.originalpeople.com and create your own customisable sticker decal with St. Patrick’s designs included! They will make a great gift to decorate your car, shop front or any hard surface, really and will serve as a great memory for you or your loved ones.